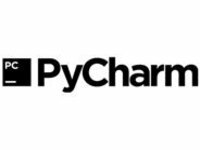 JetBrains PyCharm - Python IDE with complete set of tools for productive development with Python programming language. In addition, the IDE provides high-class capabilities for professional web development with Django framework. Code faster and with more pleasure in a smart and configurable editor with code completion, snippets, code folding and split windows support. Instantly navigate from one file to another, from method to its declaration or usages, and through classes hierarchy. Learn keyboard shortcuts to be even more productive. Take advantage of on-the-fly code syntax, error highlighting, intelligent inspections and one-click quick-fix suggestions to make code better. Make project-wide code changes painlessly with rename, extract method/superclass, introduce field/variable/constant, move and pull up/push down refactorings. Check-in, check-out, view diffs, merge - all in the unified VCS user interface for Mercurial, Subversion, Git, Perforce and other SCMs. Fine-tune Python or Django applications and unit tests using a full-featured debugger with breakpoints, stepping, frames view, watches and evaluate expressions. Run a test file, a single test class, a method, or all tests in a folder. Observe results in graphical test runner with execution statistics.